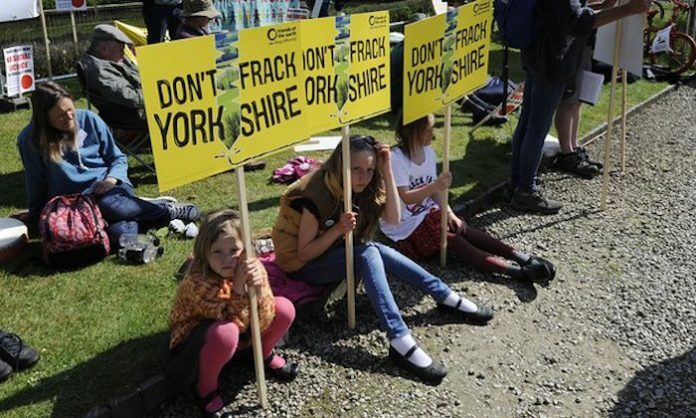 North Yorkshire County Council have approved a bid by Third Energy to start fracking operations, despite fierce protests from members of the public. The local government voted seven to four in favour of allowing the first fracking operation in England since a 2012 country-wide ban was lifted. The council’s planning committee voted seven to four in favour. Planners had recommended the Kirby Misperton plan was approved, but acknowledged the majority of representations received in consultation were objections. Vicky Perkin, a council planning officer, told the committee that of 4,420 individual representations, just 36 were in support of the application. But her report also said it should be noted there was a “national policy support for the development of a shale gas industry in this country and this is an important material consideration”. The result was met with boos and jeers from protesters who had gathered on the lawn outside County Hall during the two-day meeting. Some campaigners chanted “We say no”. Immediately after the vote, North Yorkshire Police tweeted a warning to protesters. Rasik Valand, chief executive of Third Energy, said the approval meant the firm now had “a huge responsibility”. “We will have to deliver on our commitment, made to the committee and to the people of Ryedale, to undertake this operation safely and without impacting on the local environment,” he said. 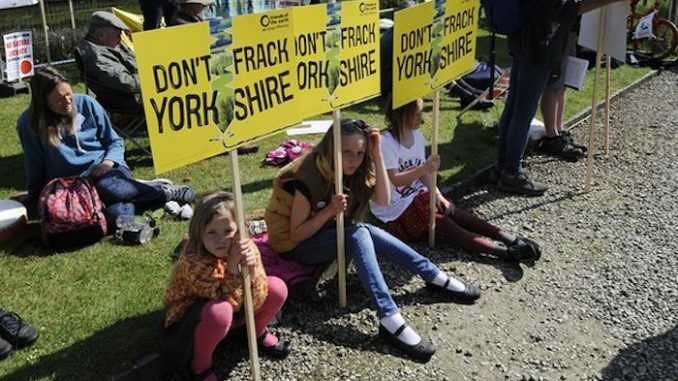 Campaign group Frack Off said: “These plans could pave the way for thousands of fracking wells to spread across Yorkshire and many other parts of the country if not stopped. “Impacts, including pipelines, air pollution and waste disposal will spread far beyond the areas being drilled. Since then, two high-profile applications to frack in Lancashire were rejected by councillors and are now the subject of appeals. Third Energy wants to frack for shale gas using an existing two-mile deep well – called KM8 – drilled in 2013 close to the North York Moors National Park. It could start by the end of the year. He said Third Energy would operate a safety system that would halt operations if a seismic event measuring above 0.5 on the Richter Scale occurred, adding that “trains cause seismic signals several orders of magnitude greater than our proposed threshold”. The firm already had licences to produce gas in North Yorkshire and offshore in the North Sea. Dr Adam Marshall, acting director general of the British Chambers of Commerce, described the decision as a “much-needed victory for pragmatism, in the face of the serious energy security problems Britain faces”. Greenpeace accused the government of having a “pro-fracking bias”, which it said made the outcome inevitable. The government has said it is going “all out for shale” to boost energy security and the economy.